My previous diatribe on France (written with love, of course) where I segued into discussing the French national motto and its relevance on contemporary French society got me thinking about the Malaysian equivalent (I would’ve also pondered on the Australian motto but as far as I know Australia hasn’t got one). Truth be told I’ve never fully embraced the various instruments of Malaysian patriotism – had a hard time drawing the 14 pointed star of the flag, no longer able to recite the Rukunegara off by heart and hardly inspired by the Negaraku, which during the 2006 Commonwealth Games in Melbourne was listed in an article in The Age as one of the less exciting anthems among the 71 competing nations. Having said that, I’ve always had a soft spot for our motto – Bersekutu Bertambah Mutu, which wikipedia translates as ‘Unity is Strength’. Although this captures the spirit of the motto, I feel the intended meaning is lost along the way, which admittedly is a common dilemma in translations. May I suggest – in my capacity as a pretend language expert – that an alternative translation might be ‘Alliance Strengthens Excellence’. Perhaps it would be better to alter the structure of the motto and shift the words a little to form the more emphatic ‘Excellence through Alliance’ or even ‘Alliance brings Excellence’. You see, Bersekutu Bertambah Mutu perfectly embodies our identity as a country and encapsulates, in those three simple words, the origin and history of the formation of the country. 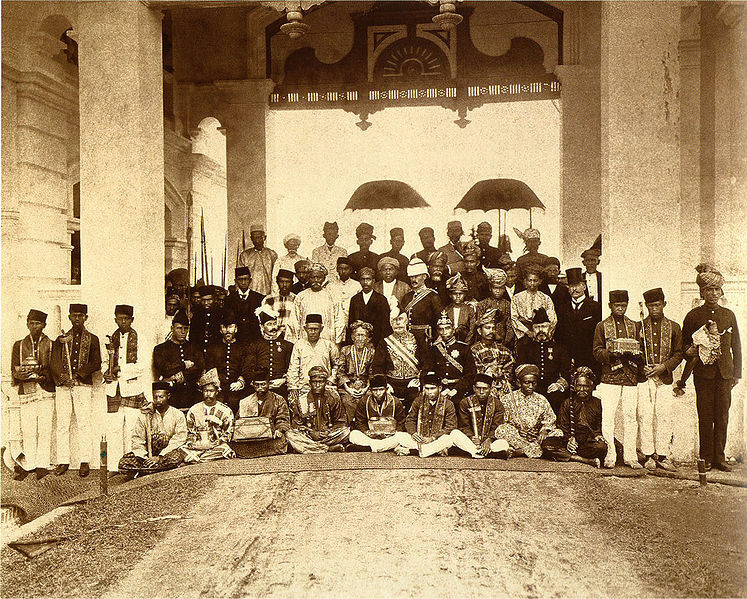 Malaysia as a national entity rests on the foundation laid by the Federated Malay States (Negeri-negeri Melayu Bersekutu), when the four Rulers of Selangor, Perak, Negeri Sembilan and Pahang agreed to a federation and centralized administration back in 1895. Later on, the Federated Malay States would join forces with the five Unfederated Malay States and the two Straits Settlements to form the Federation of Malaya (Persekutuan Tanah Melayu), the predecessor of modern Malaysia. In Malay, Bersekutu (literally ‘to be allied’, although I’ve taken it to mean ‘alliance’ for simplicity’s sake) shares the same root word as Persekutuan (Federalism, or simply Federal), i.e. sekutu (ally). Therefore, in one word the motto elegantly captures the essence of our national being, that is, the alliance of the eleven peninsular states, with their own system of governance, to form the Federation of Malaysia, along with Sabah and Sarawak later on. It also conveys the spirit of unity-in-diversity, the idea that we can be separate and united at the same time which is the basis of federalism. This seemingly contradicting philosophy actually works very well in our particularly complicated society: a multiracial, mutireligious, multistate, and even multi-monarch entity where our Yang di-Pertuan Agong changes every five years through the rotational system of the nine state Rulers. One of the obvious beauty of the motto Bersekutu Bertambah Mutu is its use of assonance (recurrence of vowel sounds to create internal rhyming within sentences, in this instance the u sound). By translating it to ‘Alliance brings Excellence’ we stay true to the use of this nifty literary device*, which ‘Unity is Strength’, simple and powerful though it may be, fails to include. *By way of a and e, along with l through alliteration, the consonant equivalent of assonance.